You can say just as much with the questions you ask as you can with straightforward statements. 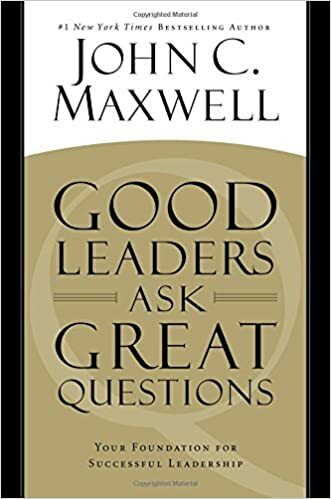 The questions that people ask often speak to us in an implicit manner, while the statements that they make manifest themselves in more explicit ways. We’re written about why implicit speaking is almost always more effective than sending explicit messages, and you should give it a read. With that being established, you should learn how to use the implicit nature of sending messages through the questions you ask in effective ways. Remember that time you were asked something along the lines of, “Are you going to wear that to the Christmas party?” This is a question which carries implicit meaning in regards to the situation at hand. If you dressed in a skimpy outfit, the person asking may be trying to tell you to tone it down a bit. If you put on your grandfather’s forty year-old cardigan in an effort to bring back the 70’s, then that person may be trying to save you some embarrassment. In order to understand the effect implicit messages of your own have on others, you must be in tune to these messages when they come your way. Form a habit of reading between the lines when you hear questions being traded in everyday life. You’d be surprised how much of the dialogue between people consists of questions. Each of those questions have what is asked at face value, as well as what is implied. The easy way to find the implicit messages in the questions that come your way is to analyze what gave birth to those questions. Put yourself in the mind of the person asking you a question. What were the triggers for their inquiry on the subject at hand? What patterns of thought did they follow in order to come up with the question which they voiced? Do not take the fact that implicit messages exist in the questions that you hear as being malicious behavior towards you. Sometimes these messages may in fact be malicious, but most of the time they are not. Harsh truths will be implied in questions that you hear, and know that the person looked out for your feelings by dressing their question up in a form which was easier for you to handle. Now that you know that questions often carry implicit meaning behind them, you should use this knowledge to positively influence those around you. Steer away from sending nasty messages through the questions that you ask. This should be understood without being said, but malicious implications within your questions will make you out to be dishonest and immoral. Do not ask questions which have the possibility of embarrassing your counterpart. If the question has a chance in producing an answer which is embarrassing to your audience, do not ask that question. Always gear your questions towards implying positive things about the person which you’re asking the question to. Do not be sycophantic in your intentions, and do not ask questions to corner your audience in an effort to make them confess to embarrassing revelations. Allow others to bask in joy while answering the questions that you ask. Ask them about good things they’ve done, about the good thoughts they have, and about the good plans they have for the future. Make your mark on them as an interviewee by allowing them to make their mark through positive disclosures about themselves.